Day 2 on the High Sierra Trail was one of my the most memorable and iconic of the trip. The entire climb from Bearpaw Meadow to Hamilton Lakes is incredibly scenic with close up views of the Great Western Divide laid out in front of you. Hamilton Lake was also my favorite campsite of the week, as the lake is quintessential Sierra nestled at the base of towering mountains. Even though this was our day with the least miles, I remember it as one of the hardest for me. I was very sore from the first day on the trail, and the final climb up to Hamilton was brutal. Also don't forget to stop at Bearpaw High Sierra Camp for some comfort food and a much-needed pick me up! Since we slept so early the night before, we were up and about early on day two! After packing up under the morning rays shining through the trees, we headed down the trail which descended for about a mile to the bridge over Buck Creek. Here we spotted a campsite and a sign pointing to the bear vault that would make for a nice place to camp in between 9 Mile and Bearpaw. 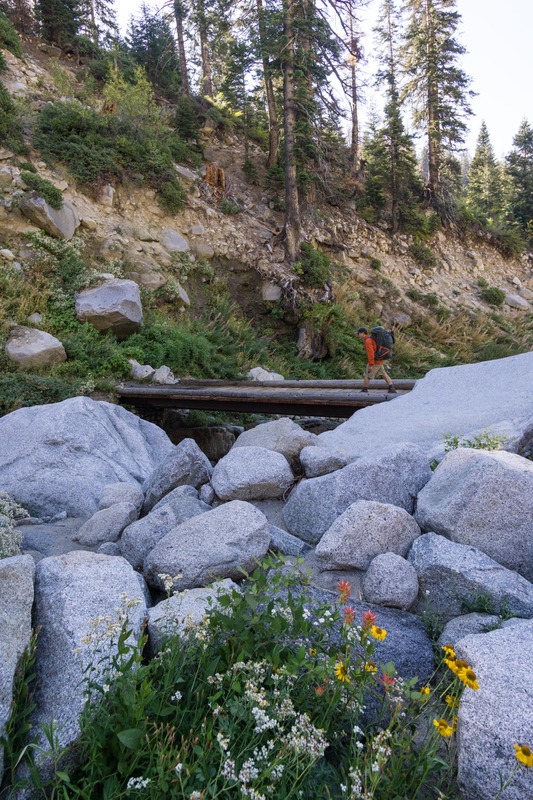 As soon as we crossed the bridge and were on the other side, the trail started climbing immediately up to Bearpaw Meadow. 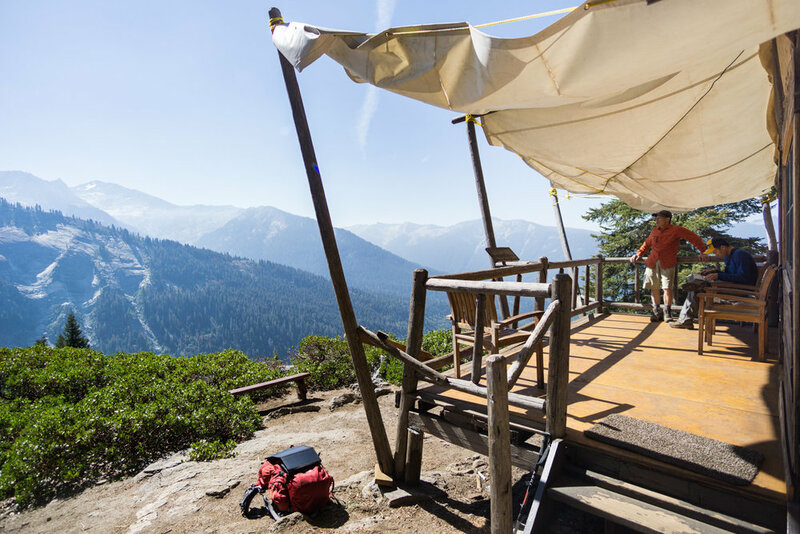 The Bearpaw High Sierra Camp was nicer than any of us were expecting, especially when talking about the incredible view from the front porch! The main building with the kitchen sits on the edge of a cliff with a 180 view of the Great Western Divide towering in the distance. We spotted the ranger's cabin and several other yurts that looked heavenly to stay in. We went inside and ordered 3 chicken sandwiches, some chips, a banana, and the largest brownie I've ever seen (it had to have been a quarter of a sheet!) for $38. Not bad - pretty competitive prices compared to the Bay Area even though everything was hauled in by horses right? Even though it was only our second day on the trail, the prepared meal and the brownie were absolutely divine. 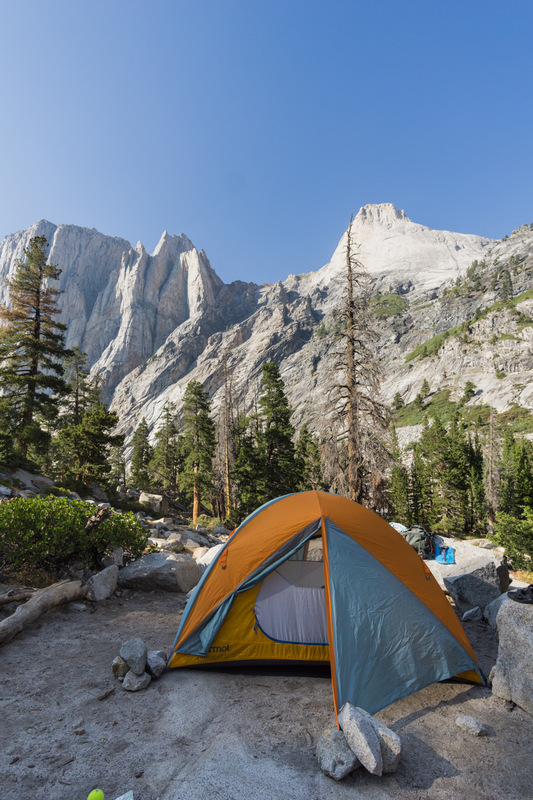 The guy running the camp mentioned that they were completely booked out at the moment, and I can see why this backcountry 'resort' is so popular. 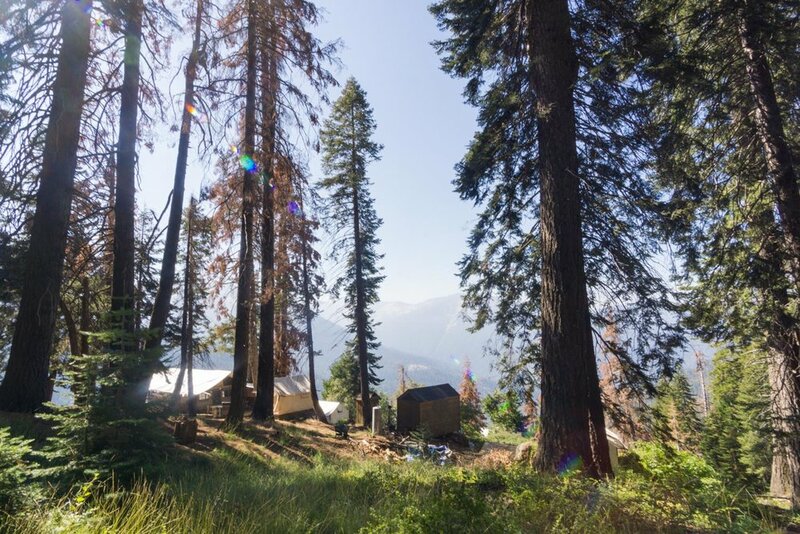 Just 11 miles in, guests can stay in a comfortable yurt, escape the crowds and experience the true backcountry, day hike to nearby lakes, enjoy home cooked meals, and all with this view! They even had wine and beer for sale - I might have to come back for an entirely different kind of trip! The guy who made our sandwiches also mentioned this was the last week of the resort's season and that the ranger was leaving his post for the year and heading out the next day, so I guess we were lucky to catch a free meal (free meaning we didn't have to lug it 11 miles on our backs!) before the season ended. It was hard leaving. We lounged on the deck enjoying the view for quite a while before finally getting back on the trail. 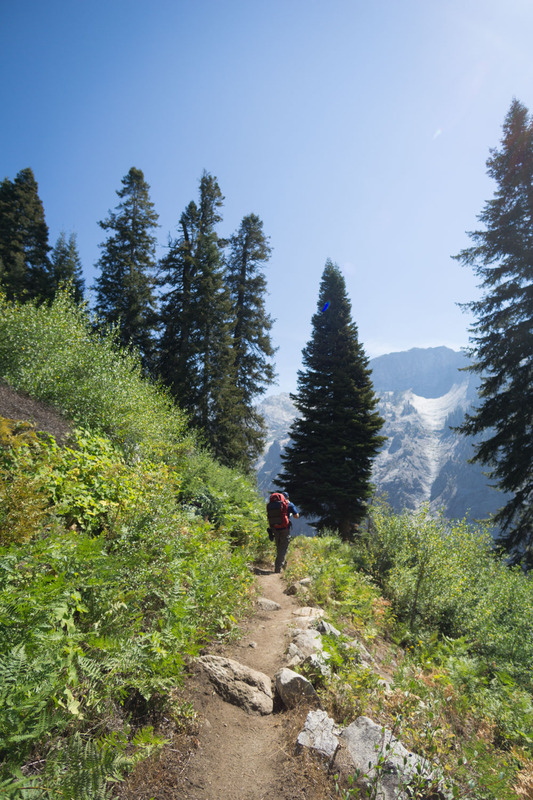 Luckily for us, this next portion of the trail was one of the most scenic and exposed parts of the entire High Sierra Trail, so each turn around the corner offered different perspectives of the towering Great Western Divide we marched towards. 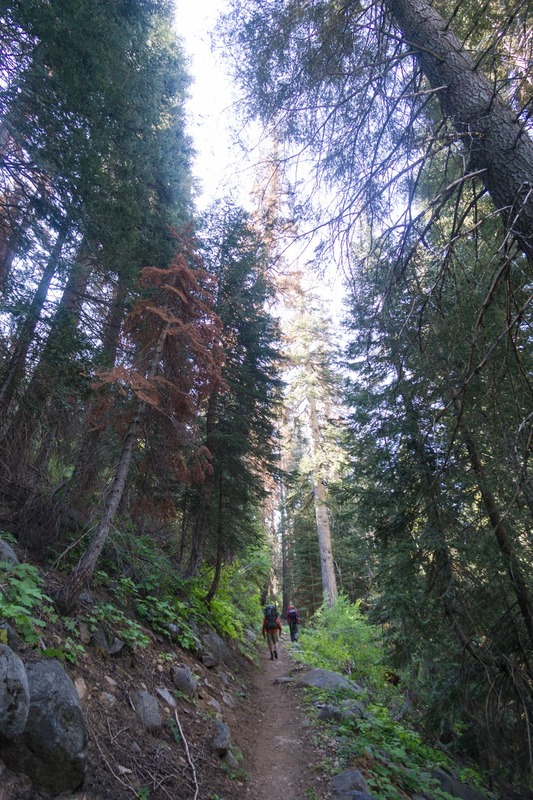 The trail hugged the cliff side and slowly descended all the way down to 7,200 ft where we reached a bridge that crossed Lone Pine Creek. 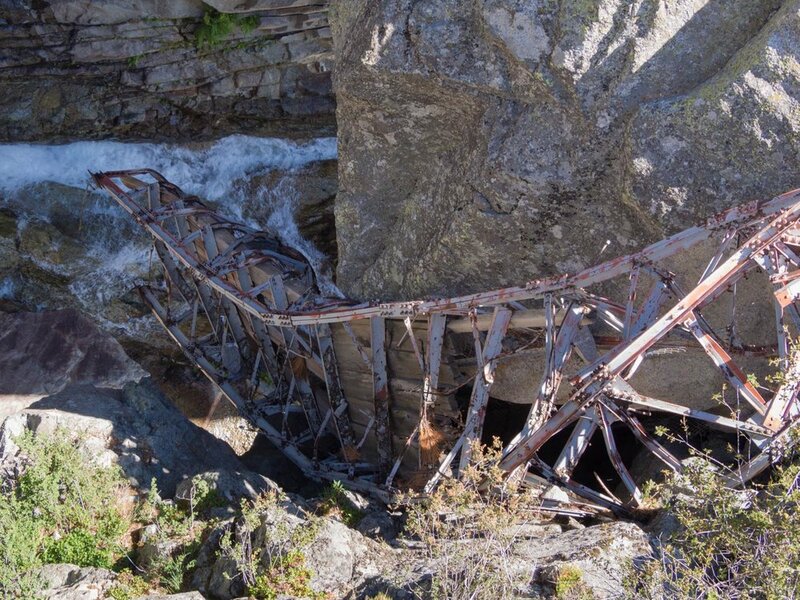 We were thankful for the sturdiness of this bridge, since it spanned a very deep gorge. While crossing over, you'll be able to see the ruins of a previous bridge lying at the bottom of the canyon. Once we crossed, yet again we had to gain back all the elevation we lost plus more. 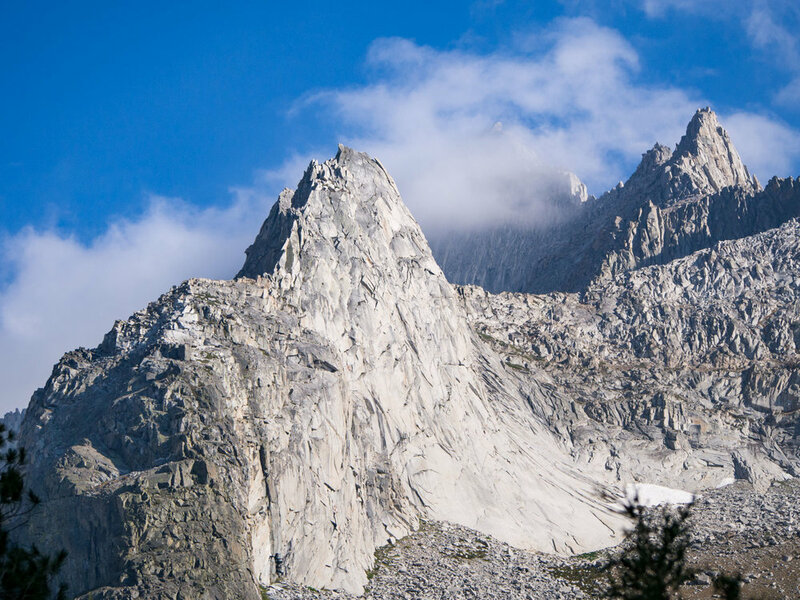 We kept looking up at the mountains above us and wondering where Hamilton Lake sat, and whether our crossing over point, Kaweah Gap, was visible or not. It seemed hard to imagine we would be on the other side of those far way mountains just the next day. Person for scale. Trying to capture the scale and enormity of these mountains! As we climbed towards the base of the mountains, we got a better view of the peaks around us. What was just a mountain ridge we were looking at earlier that morning from Bearpaw now looked 10 times more prominent, exposed, and sheer. The 1,000 ft climb up to Hamilton Lakes was one of the hardest of the trips for me. Even though the mileage and elevation were not that difficult, I think my body was still adjusting to the elevation and also not used to the daily strenuous backpacking routine. At last, we finally made it to Hamilton Lakes, our first lake sighting of the trip! Hamilton Lakes were consistently mentioned as a highlight for backpackers who have hiked the High Sierra Trail, and I can see why it is a favorite. Upper Hamilton Lake sits nested in an enormous rocky bowl surrounded by sheer cliffs and several prominent mountain peaks. You can even spot 3 waterfalls cascading on the other side of the bowl all the way down into the lake. With plenty of bear boxes and camp sites to choose from, we picked a nice flat one a little higher up from the water with a great view over the lake. Sunset and sunrise were both quite photogenic because of the golden light on the surrounding basin and the Valhalla peaks. 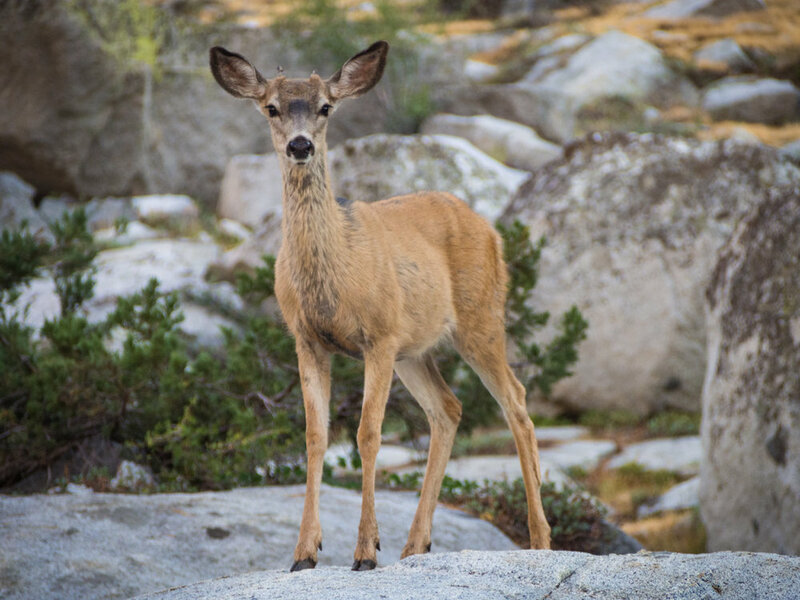 One thing to note if camping here - the deer are incredibly friendly and fearless. They would wander throughout the camps looking for food and get as close as 5 feet away. We were pretty sure we also heard them tromping around our tent at night. Hamilton lake was definitely the most popular camp site of the entire trip, and I can see why it is a highlight for most HST backpackers. The sheer mountains of the Great Western Divide encompass this lake and make for one of the most dramatic lake backdrops I've seen in the Sierra. 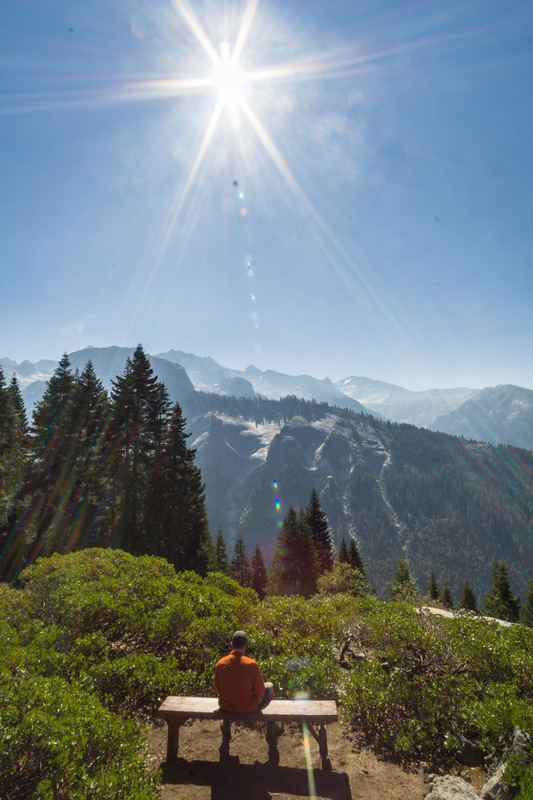 For this reason you'll find lots of other backpackers here, as well as day hikers from Bearpaw Meadow. I can imagine this camp site being crowded in the peak season - which is probably why there is a one night minimum and a pit toilet to reduce human impact. Since we arrived at camp relatively early, it was nice to spend the rest of the afternoon relaxing, swimming, reading, and shooting photos. 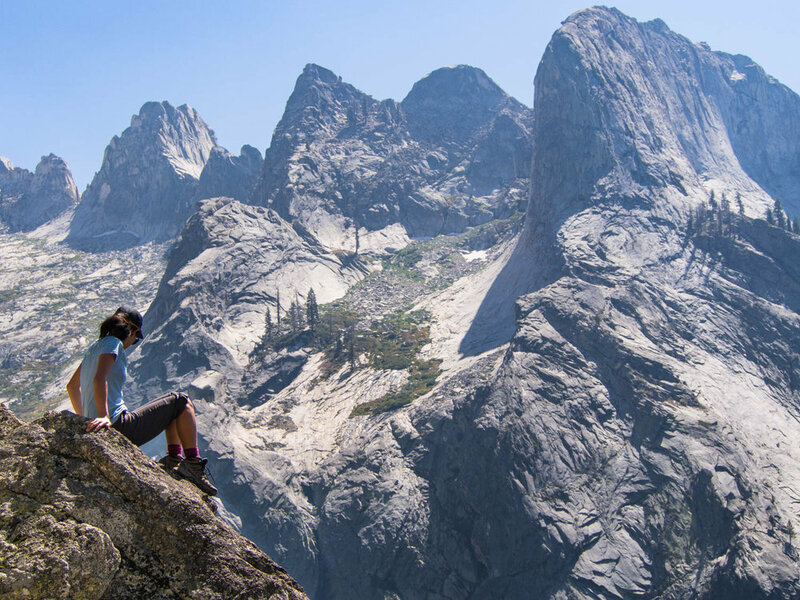 We went to bed, anxious for the next day's climb up and over the towering mountains above us.